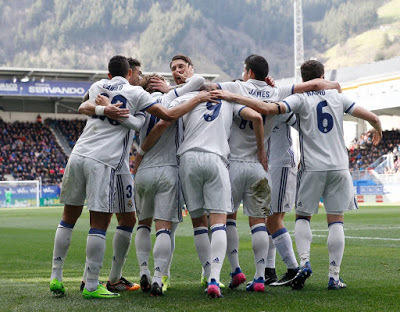 Spanish LaLiga football club Real Madrid has reported an 8.8 per cent rise in its revenues for the 2016-17 season. The club's revenues grew to €674.6m ($804m), a figure not accounting for capital gains from player transfers, compared to €620.1m in 2015-16. Pre-tax profit has been recorded at 26.3 million euros, having considered the effect of the title wins. After the deduction of tax, net profits sit at 21.4 million euros, meaning net equity has risen to 463.5 million euros, 21.2 million euros higher than last year. Net profit stood at €21.4m, compared to €30.3m in last year’s financial results. Real said in a statement: “The 2016-17 (season) has been defined by the football first team recording some of the greatest sporting achievements in history - the (Uefa) Champions League 2016-17, LaLiga 2016-17, the (Fifa) Club World Cup 2016, the European Super Cup 2016. In January, Deloitte’s annual Money League rankings saw English Premier League club Manchester United dislodge Real as the top revenue-generating football club in the world for the first time in 11 seasons. Financial services company Deloitte’s findings saw Real drop to third place behind LaLiga rival Barcelona. United’s local rival, Manchester City, entered the top five for the first time, behind German Bundesliga club Bayern Munich in fourth place.